Finally - ding! ding! - I realized I had crouched amidst a healthy plot of mint that lined the stream bank. With a slight rotation of stance, the intricate flower constructions came into delightful focus. Join in my fragrant photo shoot by sipping some vibrant peppermint tea while you savour today's photo. I'm off to brew a cuppa! 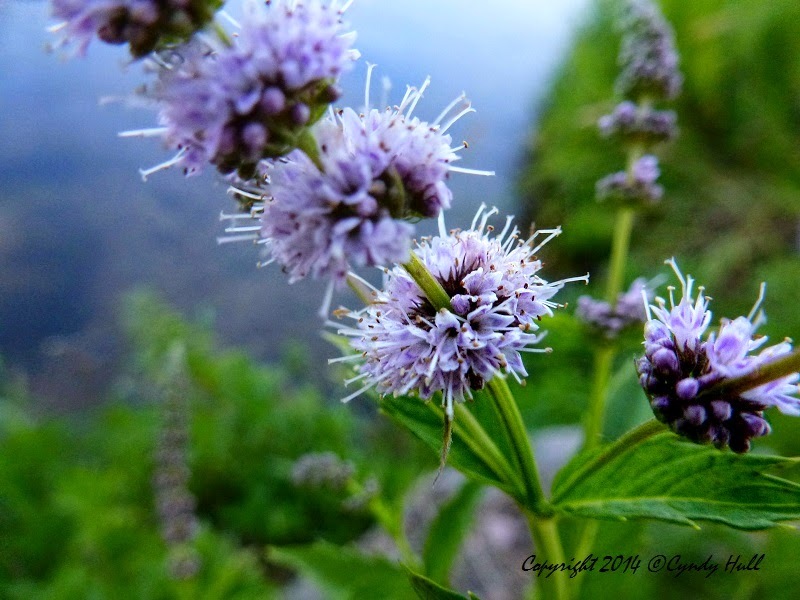 Click here to learn more about the uses, both current and historical, of the prevalent wild mint plant (Mentha arvensis). LOVE it! I harvest mint leaves each spring from garden, before they bloom, but I still use the leaves all summer long. I also grow lemon balm and the two together are delightful as well. This time of year tossing in a few raspberries is great too! Thank-you for sharing your 'view' with the rest of us. This is another marvelous shot of God's creation. Ooo... mint, lemon balm and raspberries - sounds like a great combination in a pitcher of a chilled summer beverage!